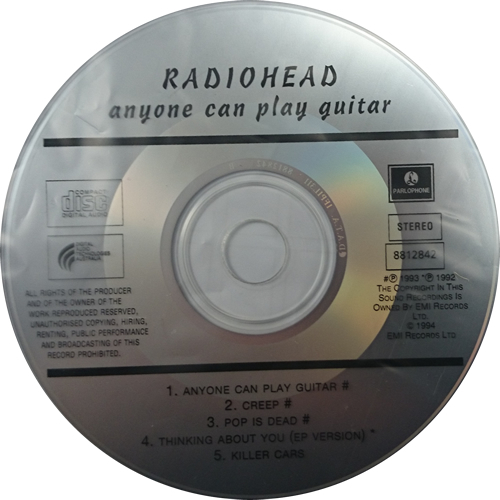 RADIOHEAD Anyone Can Play Guitar (1994 Australian limited edition Tour Souvenir 5-track CD EP with a silver disc and text in black, also including Creep, Pop Is Dead, Thinking About You - EP Version and Killer Cars, nice digipak picture sleeve with Aussie tour dates inside. 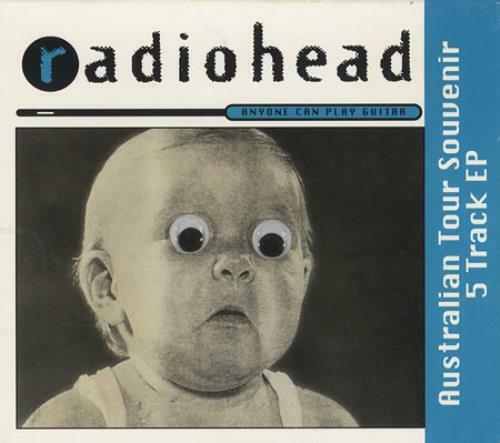 Both the disc and sleeve are misprinted as doesn't mention the last track as being a live version. The sleeve has a litle light storage wear, otherwise an excellent copy).